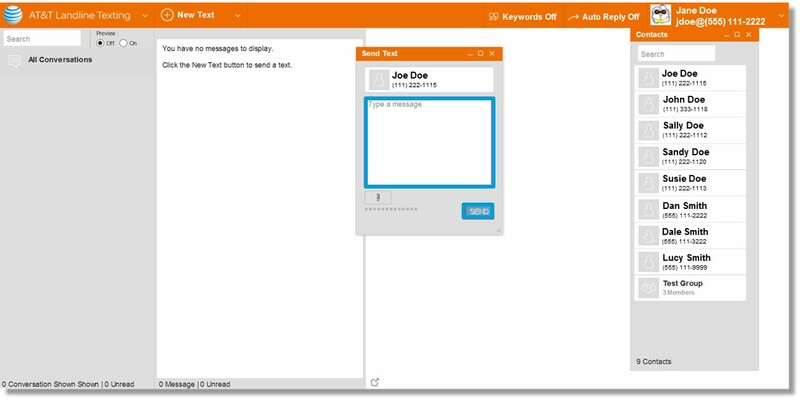 Learn how to add contacts and groups as well as send instant and scheduled text messages. Note: There is a 160 character maximum for text messages. From the AT&T Landline Texting web application home page, click AT&T Landline Texting. Hover over the right side of the contact to activate the dropdown arrow. 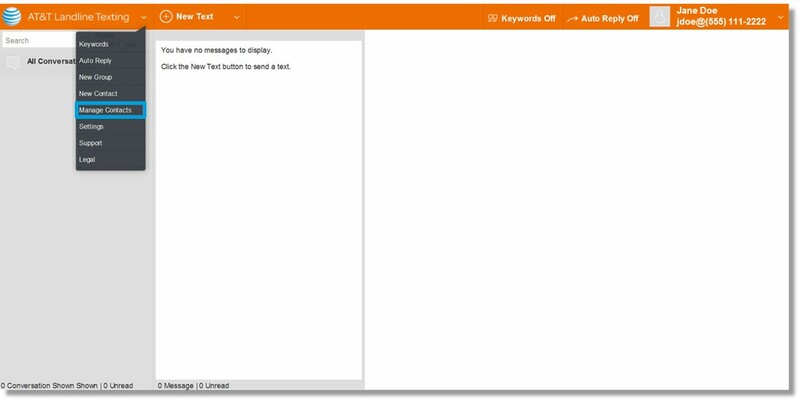 Click in the “Type a message” box and enter your message.